A close family member of mine sadly died in 2009. This week I would have been celebrating their 40th birthday. Over the last couple of days I have found myself thinking about what it would have meant to have been able to mark the beginning of a new decade. When someone close to us dies, significant dates and the lead up to them can be very difficult. 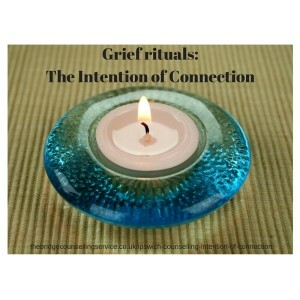 One thing I have found helpful over the years is having a personally meaningful ritual. Merriam-Webster defines ritual as something which is ‘always done in a particular situation and in the same way each time’. Having a ritual to me feels honouring and connecting. My ritual starts a few weeks before the actual date and involves buying the same Lily-Flame candle year on year. Whilst neither the candle nor its scent reminds me of my loved one during their life, I have come to associate it with them in death. There is something about becoming aware that I will need to buy the candle, the satisfaction of actually purchasing it, displaying it for a few days before and finally the lighting of it on the day and enjoying the fragrance infusing my home. I suppose I would call it the intention of connection. Whereas during the year my thoughts turn to my loved one naturally and spontaneously, on this date I have a specific intention to want to spend quality time thinking about them. Significant dates that remind us of the absence of a loved one can be incredibly painful even years or decades later. 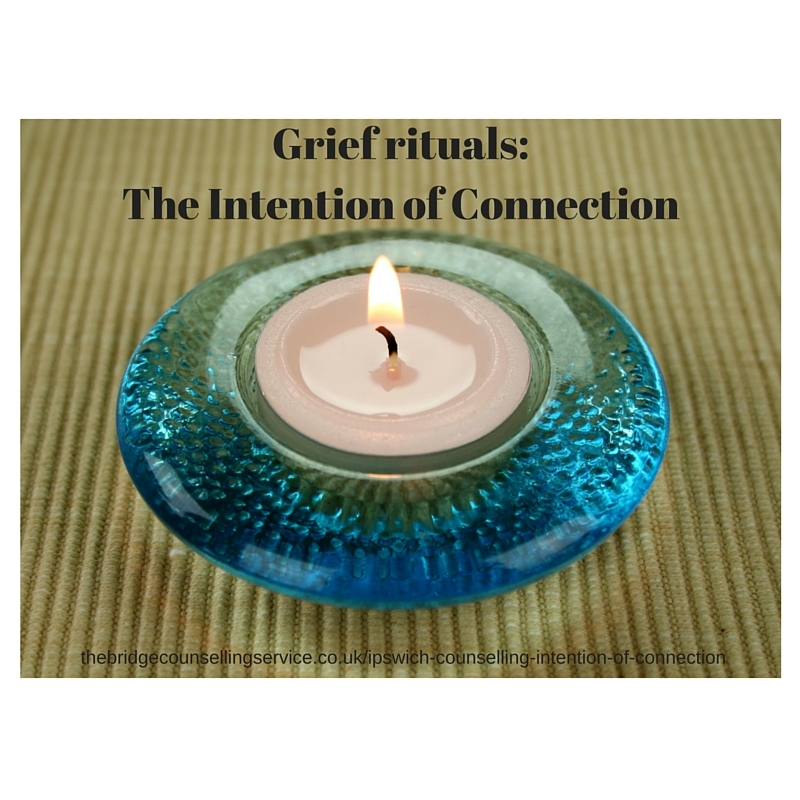 I wrote about grieving in my post Grieving: Finding a New Normal and for me a ritual forms part of what William Worden describes in that post as the fourth stage of grieving ‘to find an enduring connection with the deceased while embarking on a new life’. No ‘getting over’ or ‘moving on’ but instead creating something which feeds that sense of ongoing relationship. Change your Facebook profile picture for 24 hours. Carve out a period during the day with the intention of quietly reminiscing about your relationship with your loved one. Laugh and cry at old photos. Prepare or order in your loved one’s favourite meal. Visit a place which holds memories of you and your loved one. I would be really interested to hear about any rituals you have created to connect with your loved ones. Feel free to post comments below. If someone you love has died and you are looking for counselling in Ipswich, please give me a call on 07578 839779 or visit thebridgecounsellingservice.co.uk and I would be happy to make an appointment for you to come and see me.